You know those verses that tell us children are a delight and a gift from God? Yeah, those verses don’t feel very helpful during a parenting crisis. Parenting can feel overwhelming, so I like to keep a few additional verses of Scripture in my back pocket. 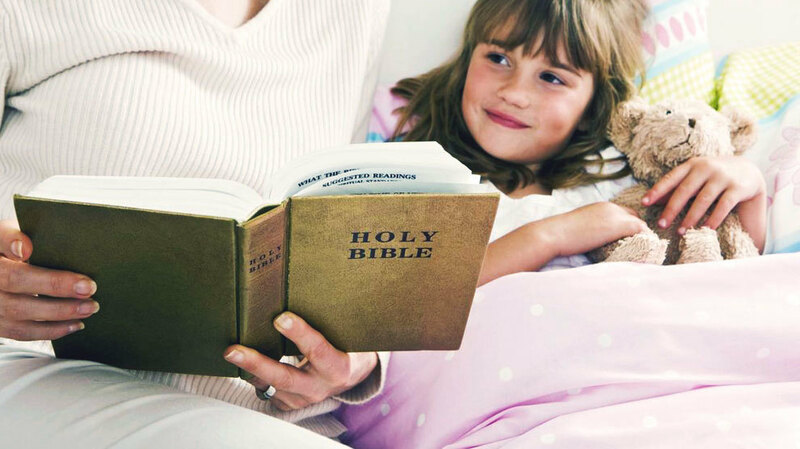 You know those verses that tell us children are a delight and a gift from God? Yeah, those Scriptures for parents don’t feel very helpful during a parenting crisis. I’m talking about those moments when your teenage son pushes his little sister across the room because she turned the channel from the NBA draft to a Disney show. She runs toward him and kicks him in the shin. Seconds later, they’re both screaming, the dog is barking, and the entire house is in complete chaos. We’ve all been there a time or two (or twelve). Y’all, those moments will test your patience like nothing else. And the last thing you’re thinking about is how your not-so-angelic little angels are a reward from the Lord. Those are the times we have to remember to parent with the goal in mind. "Parent the heart well, and the actions you desire will follow." Right now, my kids are in elementary and middle school. We haven’t even hit the really tough years yet. I’m learning, though, to imagine the day they’ll pack their belongings into the car and pull out of the driveway as adults. When I picture that day, all kinds of thoughts run through my head. Will my sons’ integrity be solid? Will my daughter’s character be strong? Will they have a thriving relationship with Jesus? What will they be thinking as they cruise down the road, waving goodbye to their mom and dad? It’s a little overwhelming to consider, so I like to keep a few other Bible verses for parents in my back pocket—verses that refocus us on guiding the hearts of our children. They help me to parent today while keeping tomorrow’s driveway scene in mind. I pray they’ll help you too! My top priority as a parent isn’t to shape my children’s actions. It’s to focus on their hearts. If I help them guard their hearts, then I don’t need to worry about every little thing they do. The heart is what brings life to my kids. It’s the glimmer in the eye of a happy baby, the delighted squeal of a little girl who is reunited with her military parent after months apart, the hardness of a rebellious teen, the apathy of a defeated young man. Because the state of the heart is the root of outward action, it’s our job to protect and guide our kids’ hearts toward right attitudes and a right relationship with God. Parent the heart well, and the actions you desire will follow. "Every time I encourage one of my kids, I’m making a deposit into their heart." Every time I encourage one of my kids, I’m making a deposit into their heart. Every time I correct, it’s a withdrawal. My goal is to keep relational change in my pocket. In other words, I aim for more encouragement and less correction. Because correction is necessary, I want to encourage far more often to maintain a positive balance. When my kids are feeling a deficit in our relationship—when I’m correcting far more than encouraging—they act out. And that can lead to a downward spiral of more withdrawals and zero deposits. But if I take the time to encourage, my kids behave in ways that deserve more and more encouragement. Does it ever seem like your kids forget they were made on purpose, for a purpose? I know mine do. They forget that life is more than video games, sports and Disney. They forget they were created as an answer to a problem in this world. As their dad, it’s my job to keep reminding them—over and over again. I do my best to stir God-sized vision in their hearts! I sit on my kids’ beds at night and dream with them about the future. I pray over them, encourage them to grow and learn, and look for every opportunity to remind them that God created them for a purpose. And on days full of channel-changing and pushing and shin-kicks and screaming and barking, I try to imagine that driveway moment years away. I tell myself, if our kids leave home with well-protected hearts—hearts full of humble confidence and a focus on God—then I know my wife Holly and I will have done what God called us to do. And all that chaos? It’ll have been totally, completely worth it. Parents are their kids’ most important teachers when it comes to matters of God and the heart. If you’re looking for help teaching your kids to handle money biblically—while also instilling biblical character qualities—order Financial Peace Junior for them today! Teach your children that money comes from work and about the importance of giving, saving and spending. Financial Peace Junior is tailored for children ages 3–12. Order today!